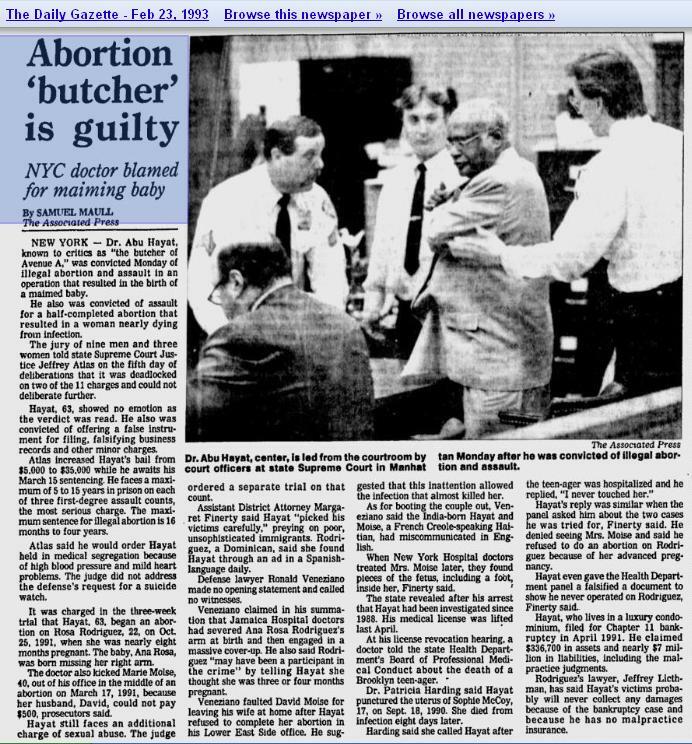 In February of 1993, NY Abortionist Abu Hayat was convicted after he ripped the arm off a 32-week unborn child during an abortion. The girl was born alive. This is Ana Rosa Rodriguez. The East Village doctor was convicted of performing an illegal third-trimester abortion in which he severed the arm of a fetus. 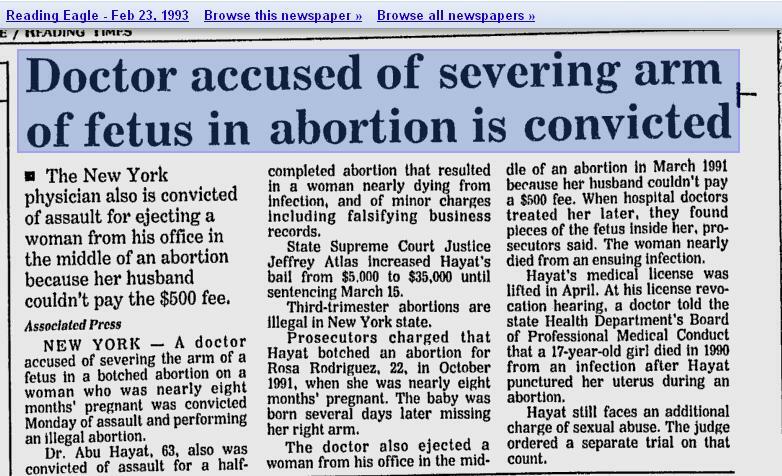 The doctor was the first person convicted of conducting an illegal abortion in New York State in more than a decade. 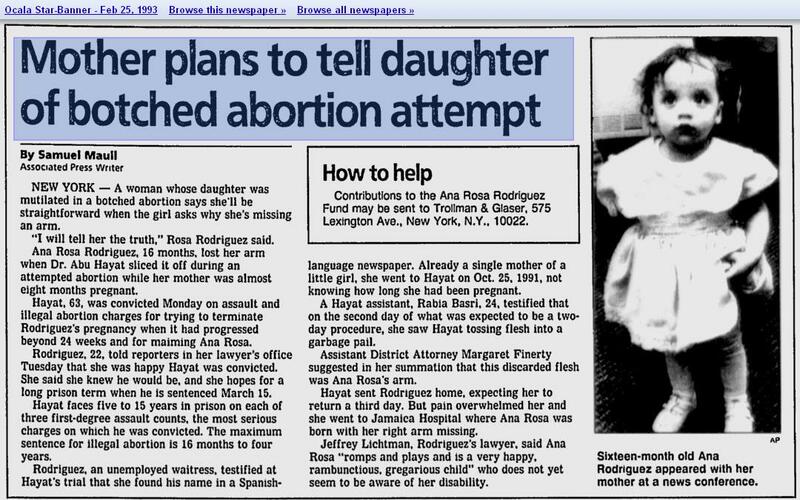 In Feb of 1993, after four and a half days of deliberation, a jury in State Supreme Court in Manhattan found Dr. Abu Hayat guilty of assault on Rosa Rodriguez and her baby, Ana Rosa. He was also convicted of two counts of assault on another patient. 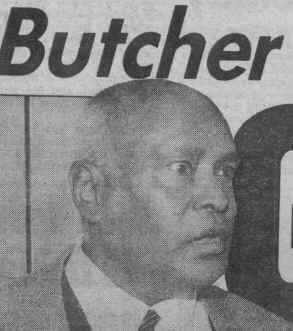 Hayat was nicknamed the Butcher of Avenue A. The child’s mother said she plans to tell her daughter what happened. 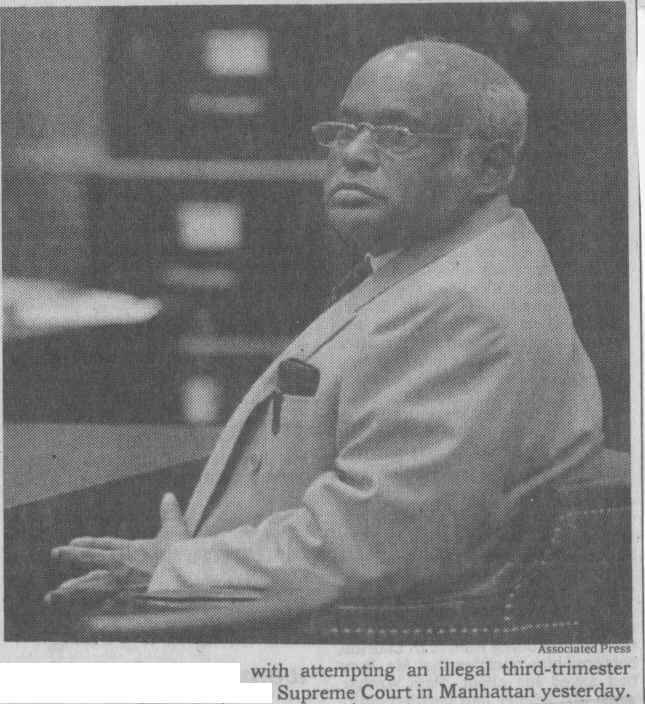 In June of 1993, abortionist Abu Hayat was sentenced to 22 years in prison, but was released on parole in 2006. He tried to have his name changed but a judge refused his request to do so. 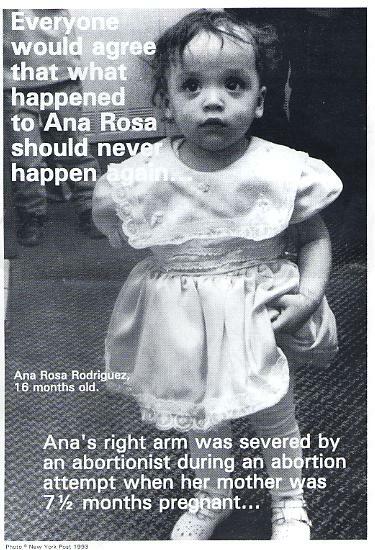 This entry was posted on March 3, 2014 at 9:56 pm and is filed under Abortionist, Abortionist and Live Birth, Abortionist arrested, Abortionist loses medical license, Dreaded Complication, Pro-choice law breakers, pro-choice violence with tags Abortion, Abortion clinic, Abu Hayat, Ana Rosa Rodriguez, anesthesia, Butcher of Avenue A, Dreaded Complication, Live Birth, prison, Pro-choice law breakers, severing arm, unborn child. You can follow any responses to this entry through the RSS 2.0 feed. You can leave a response, or trackback from your own site. My grand-daughter is an abortion survivor. We appeared on the Phil Donohue Show with little Ana and her mother and their lawyer years ago. Abortion is a NO!!!! Unless it is imposible to hold a child in the womb and is lost without intention, abortion should not be allowed. It should be considered a crime and punish both doctors and parents. There are so many ways to avoid pregnancy that there is no excuse for this kind of crime. Additionally, in any board where ABORTION is discussed, should be confirmed only by women and even men who had children, even if they are adopted. Women who don’t like kids or have any shouldn’t be part of it. politicians should spell out programs they support.